The UCLA Bruins and St. Bonaventure Bonnies will try to make up for recent disappointments on Tuesday night in the First Four from UD Arena in Dayton, Ohio, vying for advancement to the 2018 NCAA tournament. Streaming for both games Tuesday is available via truTV Live and NCAA March Madness Live. Spero Dedes, Steve Smith, and Len Elmore are on the call for truTV, joined by reporter Ros Gold-Onwude. 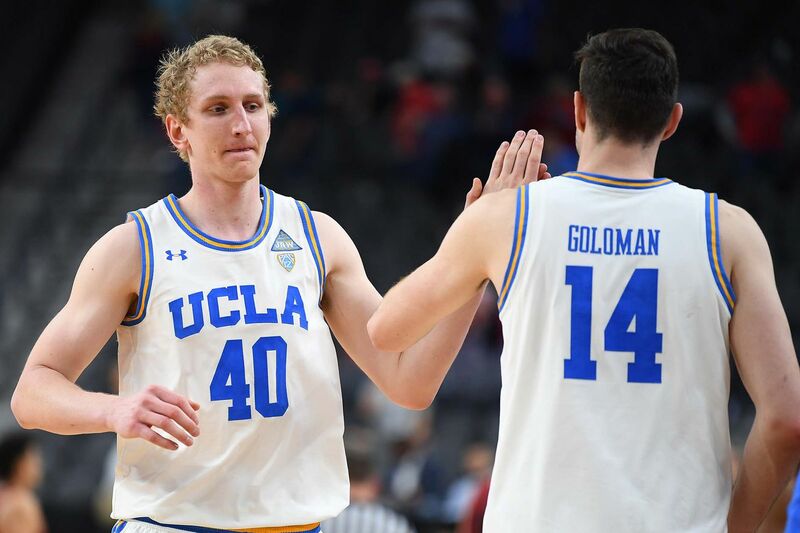 UCLA was inconsistent through the Pac-12 season and finished third in a down year for the conference, but also featured wins over Kentucky Wildcats and Arizona Wildcats, the latter on the road. The Bruins took Arizona to overtime in the semifinals of the Pac-12 Tournament, only to get outscored 11-0 by the Wildcats in the extra period. St. Bonaventure won 25 games and finished second in the Atlantic 10, but their bid for a 1-2 conference showdown with Rhode Island Rams in the A-10 tournament ended with an upset loss to Davidson Wildcats in the semifinals. The Bonnies are led by guards Jaylen Adams and Matt Mobley, who combine to average over 38 points per game, with Adams shooting 45.7 percent from three-point range. UCLA and St. Bonaventure are battling for the No. 11 seed in the East Region, which would mean a Thursday night first-round game against No. 6 Florida Gators in Dallas. The Bruins and Bonnies are the late game Tuesday in Dayton. The opener features the Long Island Blackbirds and Radford Highlanders fighting for the No. 16 seed in the East Region, with Big East tournament champion Villanova Wildcats waiting for the winner.